What to do with an hour in Cambridge? About once a year I make the trip up the M1 to Derbyshire to pay homage to one of my favourite Tudor women, the redoubtable Elizabeth, Countess of Shrewsbury, better known as Bess of Hardwick. Bess was a local girl from a respectable but not especially aristocratic family who made a series of four marriages, acquiring wealth and status as she went. She was famously a builder of grand houses and from her are descended several noble families. Her life story if a magnificent tale, full of wealth, romance, intrigue and jealousy. Bess stood up to all the challenges that life threw at her. 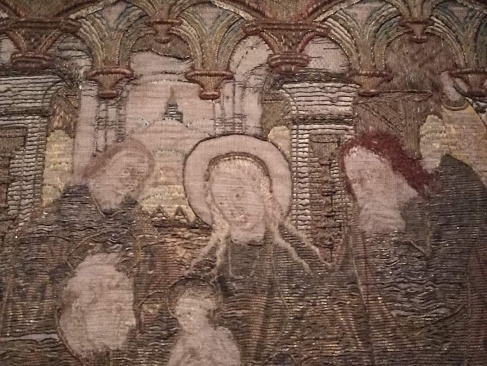 But the reason I love her so much is that on top of all that, she was an embroiderer - some of her work still exists and she also saved a large number of pre-Reformation textiles from being destroyed (although she did go in for serious up-cycling). 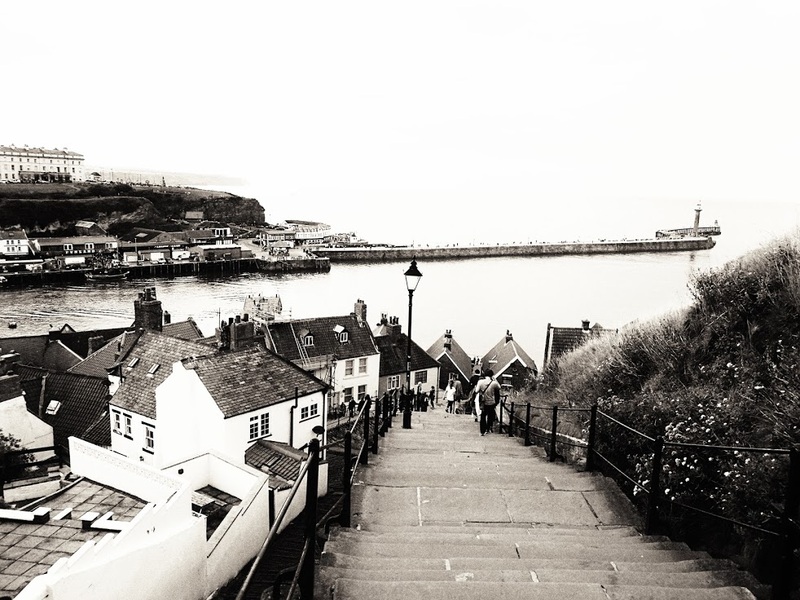 There's something wonderful about Whitby - people seem to fall under it's spell. And it was happening long before Bram Stoker decided to have Dracula come on land here. 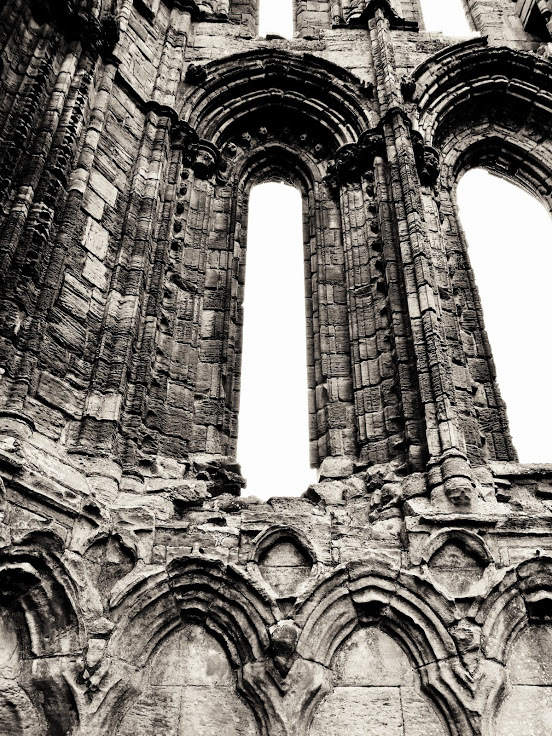 But the gothic connection works for Whitby. No better place to buy your opera cloak and corsets! Around the time that Edward I was building his massive ring of castles in Wales and generally hammering the Scots, a wealthy wool merchant called Laurence from Ludlow in Shropshire decided to build himself a ‘grand design’ property not far from Ludlow at a place we now call Stokesay Castle. 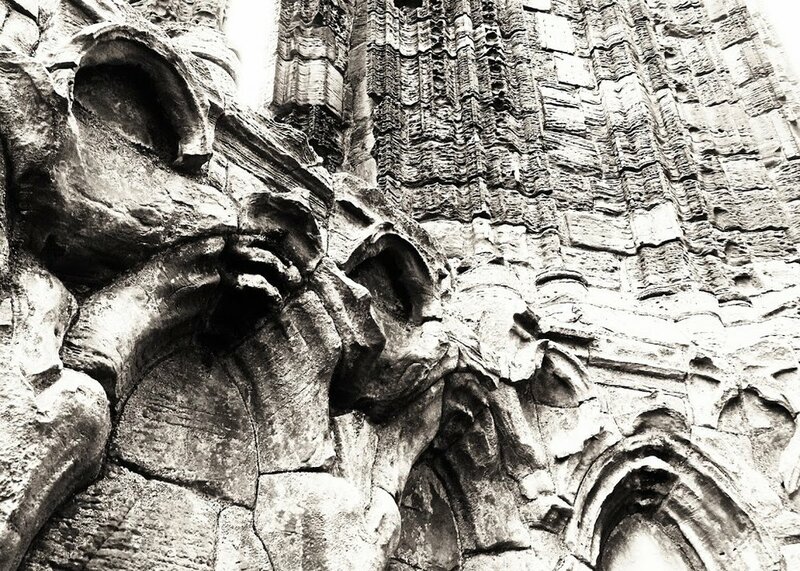 And by some improbably quirk of fate, that same building has survived through more than seven centuries largely unaltered from it’s thirteenth century design. To call it a castle, is to be honest, being just a little bit generous. Certainly it has some castle-like features; a moat, a curtain wall, a gatehouse, two stone towers, and a smattering of crenelations. But you really don’t have to be an expert in siege warfare to realise that this building was never intended to play the role of the oppressor or provide defence against a serious attack. It should really be thought of as a fortified manor house. When Laurence of Ludlow was having it built, he was creating a status symbol, giving a nod to the real-thing, but doing it below the radar of his powerful Marcher baron neighbours. He was going to live in luxury without the dangers of playing in their aggressive territorial games. (Although as luck would have it, poor Laurence didn’t enjoy it for long, he was drowned at sea in November 1294). 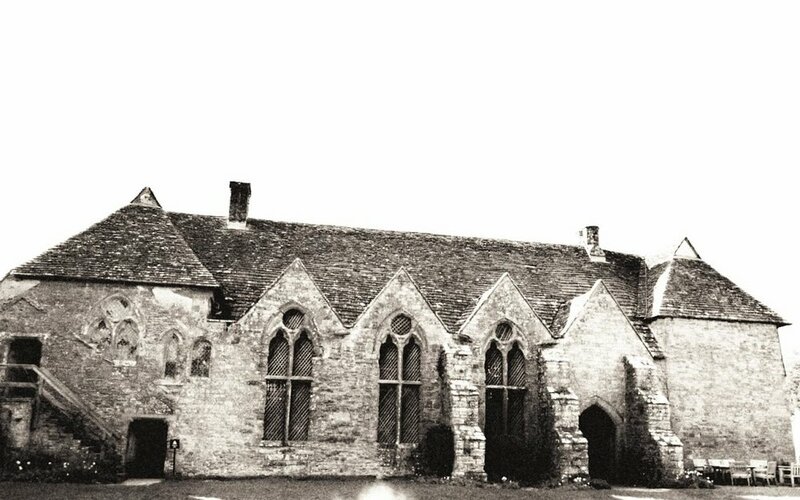 No one is entirely sure how Stokesay managed to remain intact and unchanged for so long when most castles and fortified manor houses went into terminal decline after the sixteenth century or were regularly remodelled and improved over the centuries. One theory if that no subsequent owner was wealthy enough to change it, but really, does that seem feasible? Luckily for Stokesay, by the nineteenth century, when it was at its saddest and most vulnerable, it had the great fortune to be restored by one of the least awful of the Victorian restorers, John Derby Allcroft (head of the glove-makers, Dents), who avoided doing harm to the medieval fabric and to whom I feel we should offer regular thanks and always attempt to buy Dents gloves. 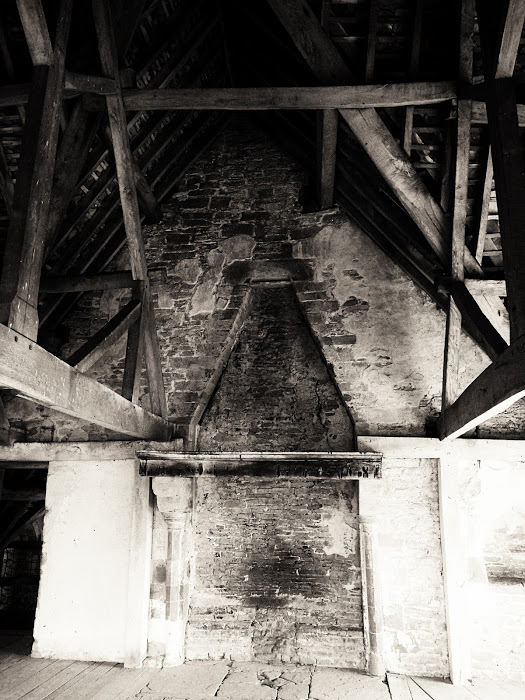 The only significant alterations from the medieval structure were carried out in the 1640s and these were the construction of the half-timbered gatehouse and the panelling of the solar. And although I suppose purists might not agree, I don’t think you could complain as both are lovely to look at and indeed the carving which was originally brightly painted (traces of five colours have been identified) is wonderful, whether you like it or not, you have to admire the sheer panash. 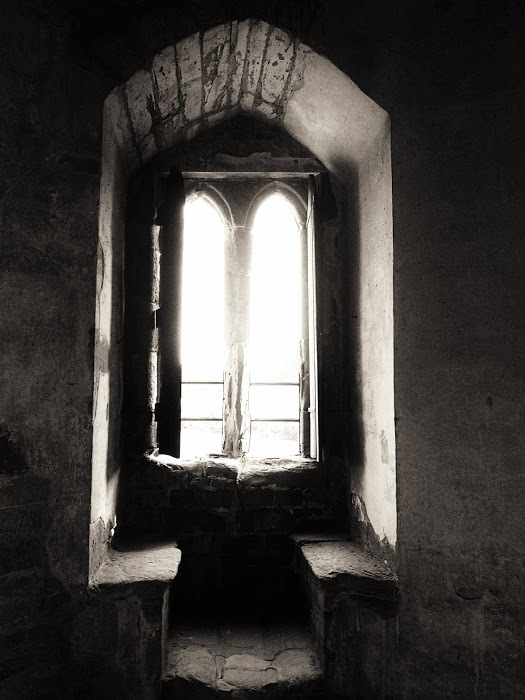 So, today you can visit Stokesay Castle and enjoy letting your imagination take you on a trip back in time, straight back to life in the middle ages. If I was ever going to make a list of my Top Ten Favourite places (which of course I do every so often, don’t you? ), Stokesay Castle would always be on that list. What makes it so special for me? Well, the thing I love most of all, is that here, just off the main road, hardly noticed by passing traffic, is a remnant of the early middle-ages, barely changed in 700 years, a building that was built during the reign of Edward I and is still standing, quietly available for history-junkies like me to visit and indulge in a little time-travel. Because let’s face it, history is mainly experienced in the mind. Go back just a few decades and we don’t have photography to show us what people really looked like. Similarly, how did people sound? We only have around 100 yeaers of recordings to tell, before that, nothing. 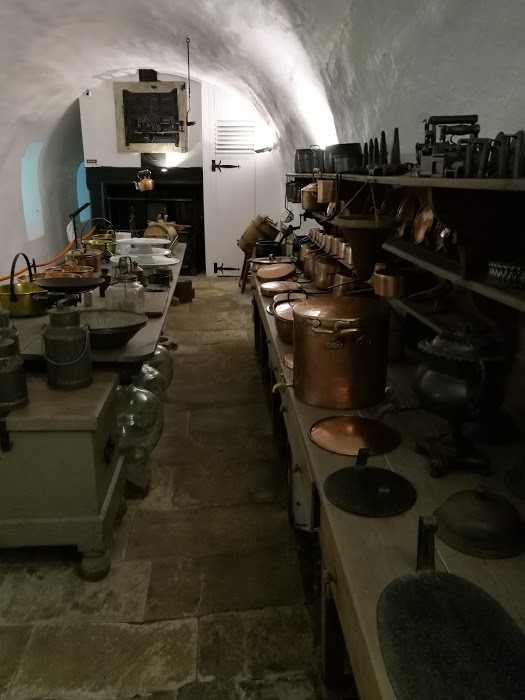 So for me, it has always been the places where we know history happened that have helped me find a connection to the past. 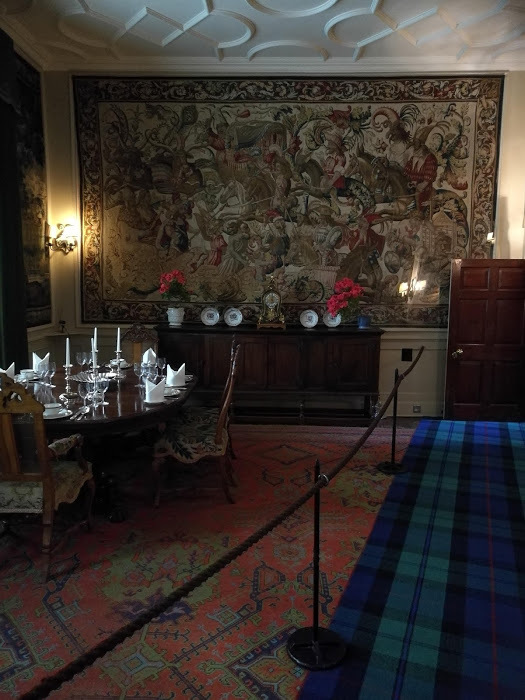 Reading about events leaves everything to the imagination, but standing on the spot where an event took place, is for me a much more powerful way to recreate historic events - however grand or mundane. To stand on the exact spot gives you a definite point of connection. But when a building still exists, that connection is so much richer. And when the building is largely unaltered, that connection is stronger still. Now you don’t have to close your eyes to create the images, you can actually look directly at the same fabric, the same structure, the same views experienced in the past. And this is what makes Stokesay Castle so rare and so special. Because while we are lucky to have many remaining grand stately homes of the nobility, surviving examples of early fortified manor houses are very rare indeed. 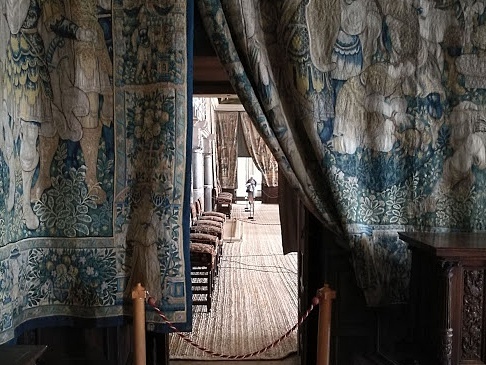 Stokesay gives us a direct connection with the lives of the people of an otherwise difficult to access strata of medieval society. To me it feels as if it was a busy place, full of the everyday happenings necessary to keep people alive during this period. Then wander up to the Solar and you can immediately understand the division between the classes here. Down there in the Hall, everything is public, up here there is some privacy (although less than we’d expect today). 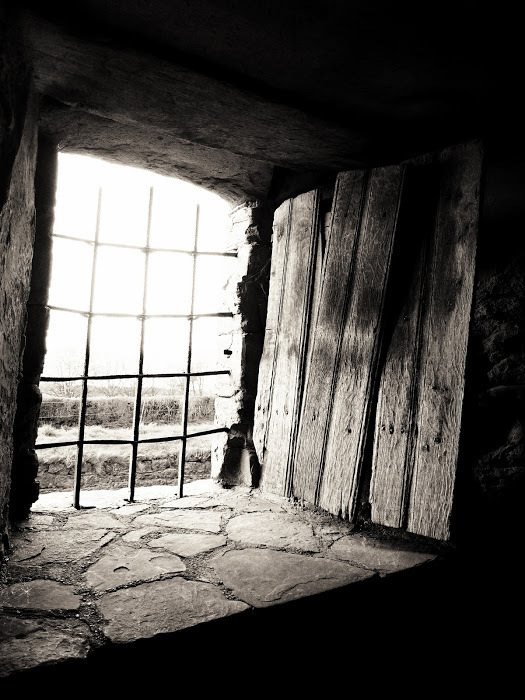 Walking around the Castle, it's the windows that give me most pleasure. Deep window seats ignite my imagination. Did the ladies sit here, wrapped up against the drafts and sit and sew? What were they stitching? How did they keep their fingers warm? Did they pause from time to time to gaze out across the valley? Who were they looking for? And so you see, it's all those questions that make it so wonderful - literally. I'll never be tired of asking them.